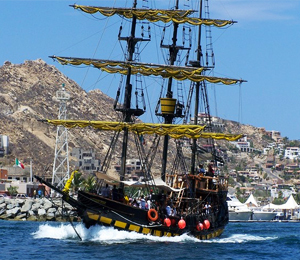 Set sail aboard an authentic replica pirate ship on an amazing snorkeling expedition from Cabo San Lucas. 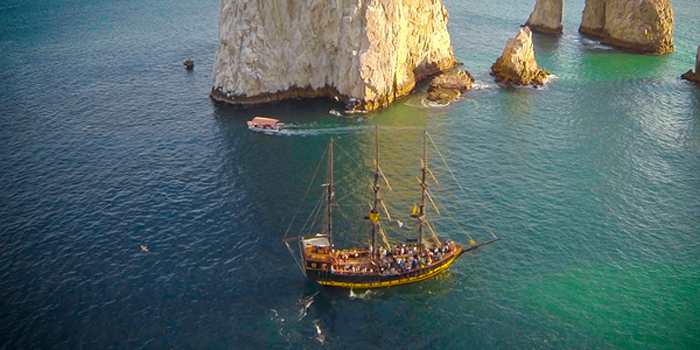 The Buccaneer Queen, a ninety-foot sailing vessel, will transport you through the cerulean waters of the Sea of Cortez on a swash-buckling adventure as you imagine that you are the scourge of the Seven Seas. 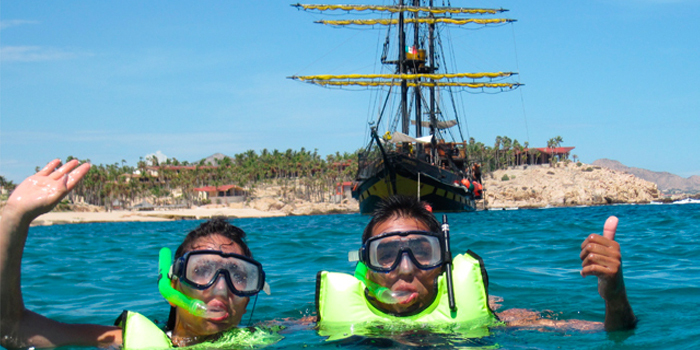 Kids will love to pretend to be pirates, and adults will truly enjoy the breathtaking sights above and below the water on this snorkeling cruise. 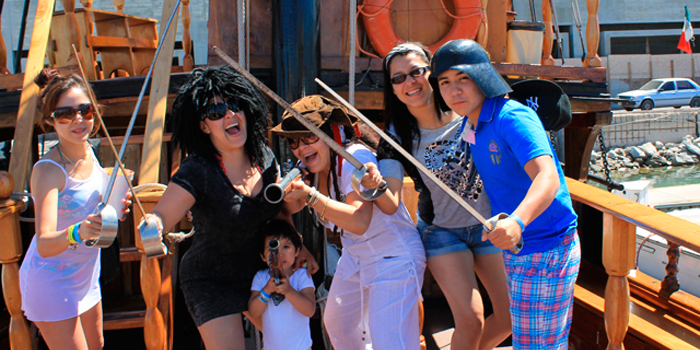 Children can pretend to be Jack Sparrow from the immensely popular Pirates of the Caribbean movie trilogy. And you'll truly feel as though you are in a Hollywood movie as you are transported on the Buccaneer Queen, which was once used in filming of Cutthroat Island, the 1995 movie starring the statuesque starlet, Geena Davis. 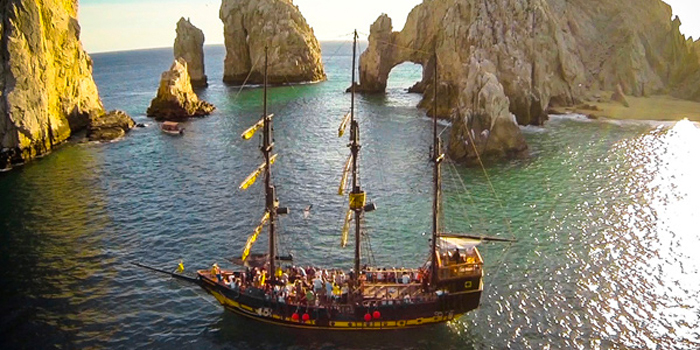 But this aquatic expedition isn't just about playing pirate andndash; you'll sail across the spectacular waters of the Sea of Cortez to snorkel off the picturesque coastline of Lover's Beach. This remote coastal paradise offers the perfect setting for relaxing on the white sand. Even a heartless buccaneer needs a break from pillaging merchant vessels to unwind on the beach. 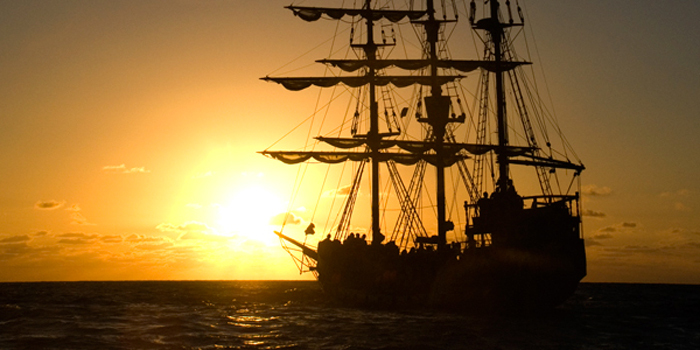 You will have the opportunity to hunt for treasure in Davy Jones' locker, but you won't find Spanish doubloons or pieces of eight under the crystal-clear surface of the waters in of a marine preserve. Instead you'll find a treasure-trove of variegated corals and prismatic aquatic species. 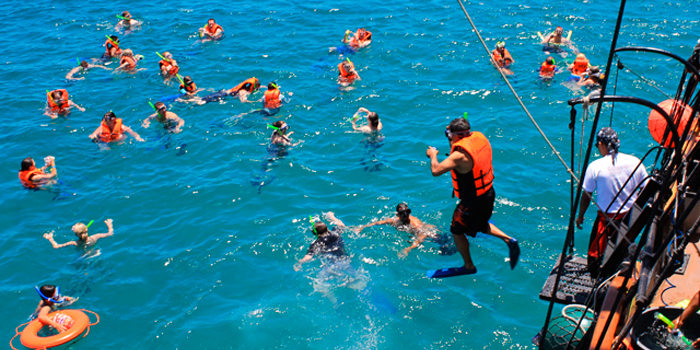 Your entire family will always remember exploring these remarkable coral gardens swarming with colorful marine life. I have been to the Bahamas many times, but Buccaneer Queen Treasure Snorkel is one of my favorite trips! It includes everything that everyone should do here. As a Bahamas veteran, I can say only the best about this experience!